It used to be that every year millions of children around the world would wait for Christmas Eve morning, knowing that they’d spend the day looking out the window and wondering what he was up to right at that moment. Times have definitely changed. Not only are kids these days equipped with personal laptops, iPads, iPods, and smartphones, but they can use them to track Santa during every single minute of his Christmas Eve journey. Google Santa Tracker – A cute animated web page, you can choose to track Santa and his location, play games, sing songs, and so much more. 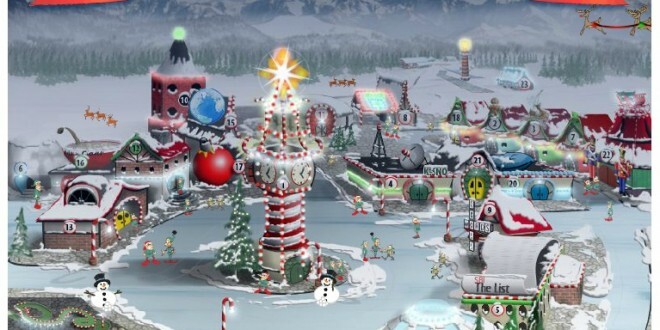 Norad Tracks Santa 2013 – Who doesn’t love Norad? We’ve been watching the animated Santa cruise through the skies for over 10 years at my house. This year it’s a 3D animation that lets you zoom right in on the big guy. Wishing you a very Merry Christmas, Seasons Greetings, and Happy Holidays (whichever one you’re into). Santa Tracker – Santa is on His Way! Track Santa & Get His EXACT Location!